The Arlington city council is weighing in on a multi-million dollar makeover of Abram Street, a project that could shape the future of downtown Arlington. During a workshop Tuesday afternoon, council members expressed their support for a plan that would reduce Abram Street by two lanes between Collins Street and Cooper Street, leaving one lane in each direction and a center turn lane. It also calls for wider sidewalks throughout the downtown area and additional streetscaping. It was one of three different configurations city staff presented to council members. The other two called for more lanes and less sidewalk space. "Is Abram for vehicular traffic or human traffic?" said Mayor Robert Cluck. "And I still don't know for sure what it is. But of all the [options] I've seen up here, if we're going to do it, this would probably be my first choice." Several downtown business owners and the Downtown Arlington Management Corporation have come out in strong support of this design. They said the downtown area needs to be more pedestrian friendly to be taken seriously as a destination and to encourage future development. The biggest concern raised about the project is how it will affect traffic. 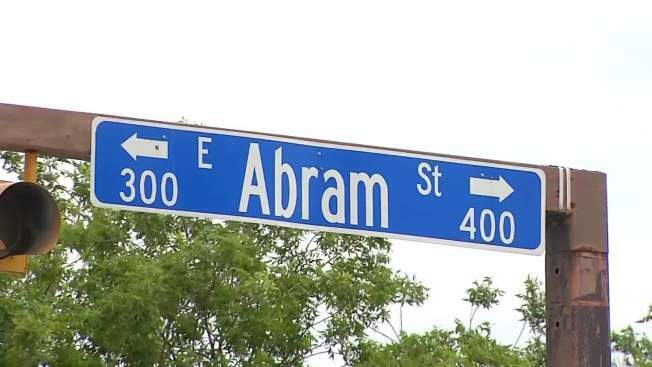 Abram Street is a busy thoroughfare that many drivers use to get from Cooper Street to Highway 360.